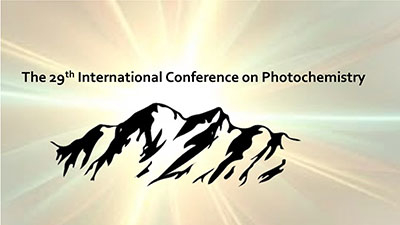 The objective of the EUROPEAN PHOTOCHEMISTRY ASSOCIATION (EPA) is to promote the development of photochemistry in Europe and contacts among photochemists. The Association is concerned with various experimental and theoretical aspects of the interaction of light with molecular systems, ranging from basic knowledge and practical know-how in photochemistry to application in areas such as chemical synthesis, electronics, material science, nanotechnology, biology and medicine. Registration for the 29th ICP meeting to be held in July 2019 in Boulder, Colorado (USA) is not open yet. Conference updates will be available in the Meetings section. Topics will cover a broad collection of subjects including organic and inorganic photochemistry, supramolecular photochemistry, luminescent probes, photobiological processes, bioimaging, photochromism, solar energy conversion, ultrafast processes, photoactive nanoparticles and materials, photochemical and photophysical theory and modelling, spectroscopy and instrumentation, and many more. The University of Colorado Boulder location provides an amazing environment, with over 300 days of sunshine per year, year-round cultural and recreational opportunities and one of the most beautiful college campuses in the country.